Signup for the Alpha Test. 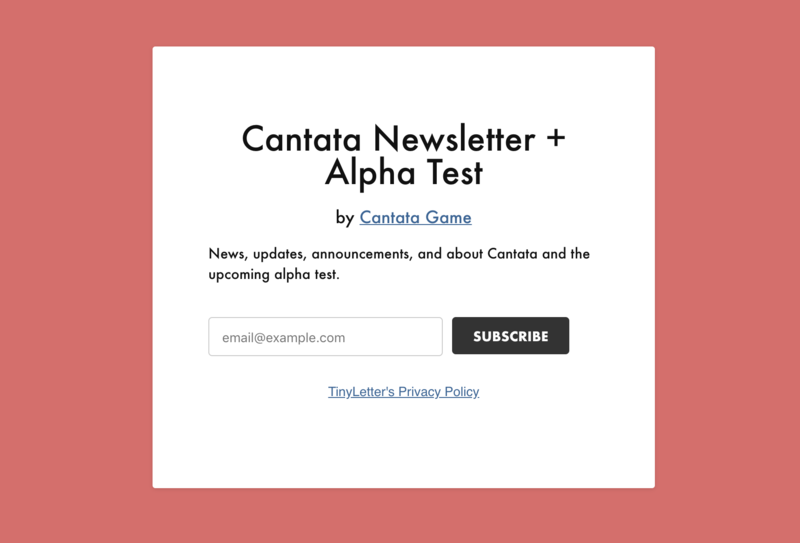 Signup for the Cantata Alpha! The final item, Multiplayer, is a bit of a stretch goal, but it is possible now, so making it continue to be possible in the alpha release will just require some cleanup. Again, no promises, but hoping we can deliver this to you all soon.